The Puroik are officially counted as part of the Lhoba nationality in China. All people in Arunachal Pradesh in India know the Puroik as the Sulung, a Bangni term meaning "slaves." Arunachal Pradesh is one of the most ethnically diverse regions in the world. "With a total population of less than one million, 70% is tribal, containing 21 major tribal groupings with over 100 ethnically distinct subgroupings." Although the Puroik claim to be the original inhabitants of the area, for centuries they have been virtual slaves of the larger Nishi tribe. The Nishi formerly had intermediaries called gingdungs who arranged for the ransom of Puroik people, and in that way kept them trapped in dire poverty. Puroik legends "tell of the great journeys they made over the wild and lonely hills and of the heroic pioneers who made the first clearings in the forest. It is part of their reverence for the dead, whose spirits they believe still haunt the countryside." The Puroik live in very small groups comprised of just a few families living together. They are a secretive and furtive people who prefer to be left alone. The Puroik are renowned as mighty hunters. The primitive mountains contain ten species of pheasants, as well as tigers, leopards, snow leopards, and goat antelope. The primary religion among the Puroik is called Donyi-Polo (The Sun and the Moon). They also worship a complex hierarchy of spirits, gods, and ghosts. "Not only do particular parts of nature (plants, animals, celestial bodies, etc.) carry a divine presence, but there is a notion that spiritual energy can be exchanged between humans and these spiritually charged natural phenomena." There are a handful of known Puroik believers on the Indian side of the border, but none in Chinese territory. Unlike other tribal areas in northeast India which have been heavily Christianized, Arunachal Pradesh remains largely animist. One secular anthropologist reported, "The handful of Christians I met in Arunachal Pradesh all spoke of the importance of maintaining traditional rituals as a way of preserving their ethnic identity, despite the strong pressure against this on the part of fundamentalist Christian missionaries." View Puroik in all countries. 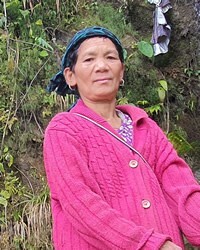 Location in Country: Approximately 4,500 members of the small Puroik tribe inhabit mountainous jungle terrain in the East Kameng District in the northeast Indian state of Arunachal Pradesh. The region has a "drastic terrain thrown up by the sharp twisting of the Himalayan ranges as they turn suddenly from a southeasterly to a southerly direction and drop precipitously to the tropical forests of southern China and northern Burma." 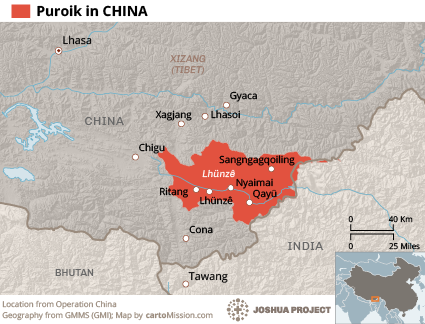 A few hundred Puroik are also located in Longzi County on the Tibetan side of the border. 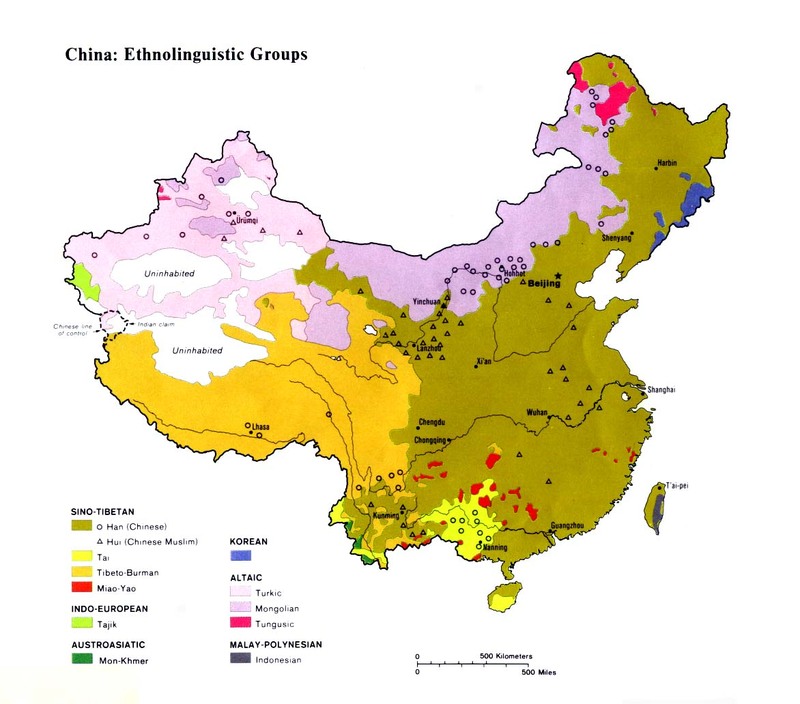 Traditionally the border region was controlled by India, but the Chinese took considerable territory from India after armed border clashes in 1959 and 1962.